The fires on the tiny Venetian island of Murano have been burning since the year 1291, producing timelessly beautiful pieces using techniques that the rest of the world can only guess at. The creator of our Fiorire di Murano Collection, Manuela Zanvettori comes from a family who have been creating artistic glass in Murano, Venice for over half a century. Manuela grew up seeing her mother make glass jewels, threading thousands of beads and creating beautiful pieces every day. After her studies and 10 years spent between London and Paris where she worked for famous fashion houses, Manuela decided to return to Murano in 2006 to create her own studio in the core center of the island famous for the glass masterpieces. For the Fiorire Murano Collection, Manuela has transformed glass into minature vases of flowers, working solely with original Murano glass canes produced on the island. She’s meticulously formed a delicate floral motif into generous glass beads along with 24K gold leafing. Then handstrung dozens of handcrafted Murano glass beads for jewelry that consists entirely of the famous Italian glass. 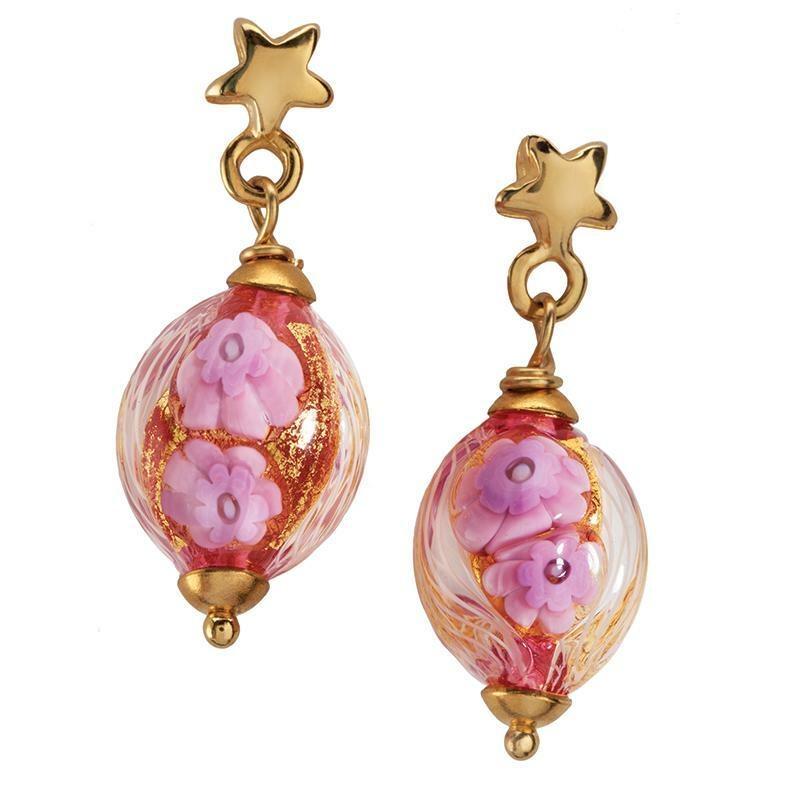 Giving her Murano Glass says you have impeccable taste and a love for history, but most of all it says “I love you.